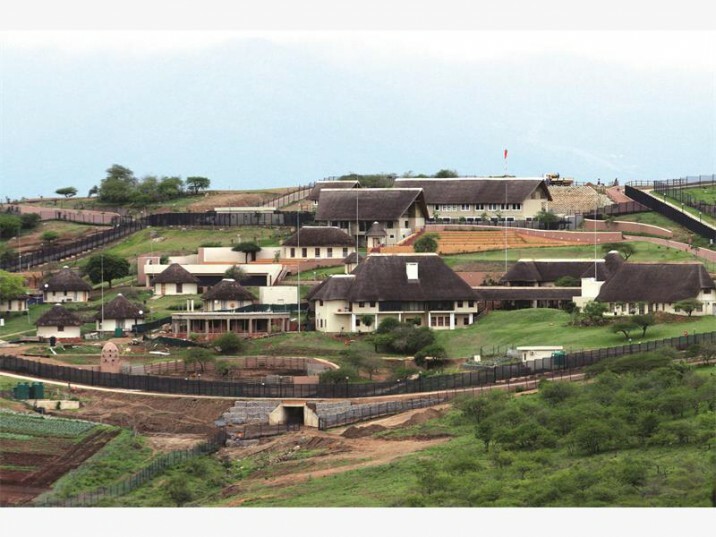 A view of President Jacob Zuma's homestead Nkandla in KwaZulu-Natal. Picture: AFP. The Special Investigating Unit’s report on upgrades at President Jacob Zuma’s Nkandla homestead has been delayed in part because investigators only gained access to the property last Thursday, more than six months after the probe was launched. SIU head, Vas Soni, on Thursday told the portfolio committee on justice it pained him the report was being held up by two difficulties the unit had encountered. The first was access, the second a lack of co-operation from two people whom he declined to name. “It gives me no joy to say to the public at large that the report has been delayed yet again. It is a reflection on me and the unit,” he said. Zuma signed a proclamation on December 18 last year giving the SIU the go-ahead to investigate “intentional or negligent loss of public money” at Nkandla. Soni was pressed by Democratic Alliance MP Glynnis Breytenbach to explain the delay of the report, which the SIU announced late last month. Soni said they were not directly involved in the decision-making process surrounding the Nkandla project, but allegations were raised against them, and therefore the report could not be completed without giving them a chance to respond. He said he still had to decide whether he would put legal pressure on the two people in question because, as matters stood, it was not clear whether they were deliberately hindering the investigation. Explaining the problems surrounding access, Soni mentioned that Nkandla was a private property, and that various government departments were involved. Soni’s comments raise questions about Zuma’s assurances that he would give Parliament a comprehensive response to the findings of the SIU, the public protector and an inter-ministerial task team some time this month. The president in April controversially declined to respond to Public Protector Thuli Madonsela’s findings that he had derived undue benefit from the R246 million security upgrade project, which included an amphitheatre, a chicken run, and a swimming pool. She recommended Zuma pay for part of the cost out of his own pocket. At the time, he said he would wait for the SIU’s work to be completed. Last month he said he was perusing the agency’s provisional findings and would respond within 30 working days.